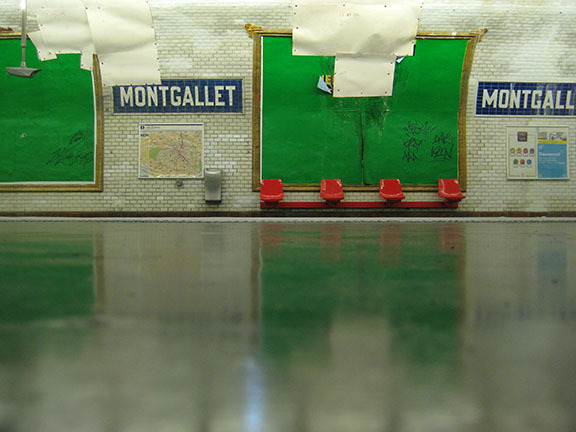 I was completely enamoured by the Paris Métro system. Every time I saw a subway station, I was transported to another era. There were two main types of entrances. 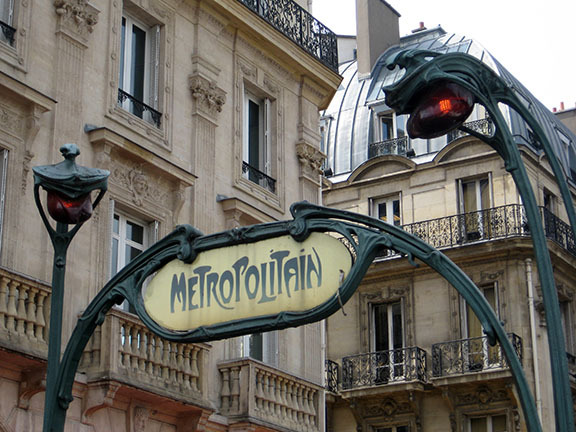 The one pictured above was designed by Hector Guimard, and was heavily influenced by the popular Art Nouveau style at the turn of the 20th century. Part of their beauty is the high contrast between the heavy cast iron construction and the weightlessness of growing plants and organic forms. Guimard designed two variations of this entrance, with and without glass roofs (a roofed example here). 141 entrances were constructed between 1900 and 1912, of which 86 still exist. 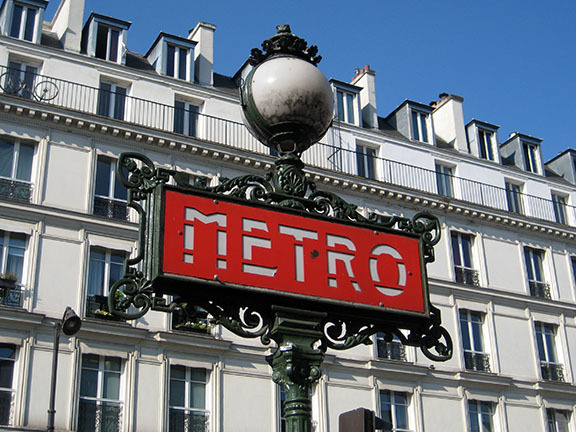 The second type of Métro entrance is marked by red masts / totems, which came about in the 1920s. 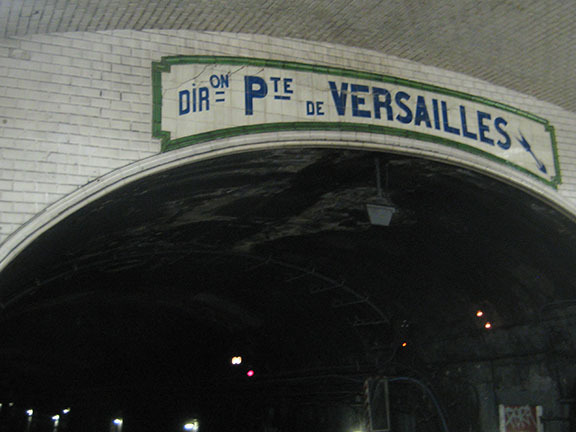 These signposts vary in the amount of decorative embellishment; the Val d'Osne variant (pictured below) consists of a globe-shaped lamp above a "Métro" sign, surrounded by an ornate cast-iron frieze. 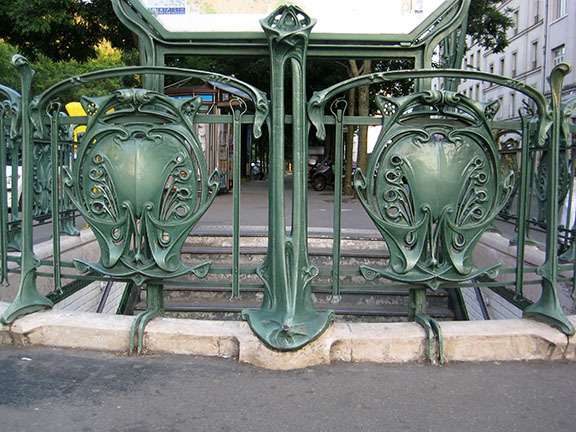 Hector Guimard is also responsible for all of the beautiful features, including these stunning iron railings found at most stations. No detail was overlooked. Underground, there is great variation from station - you can ready more about the historical styles here. Most are vaulted and tiled (like the one below). 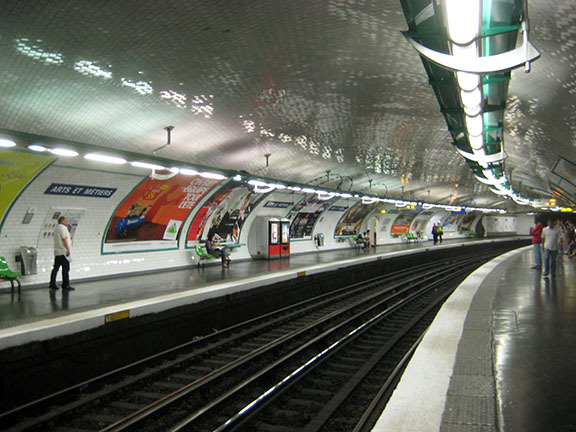 Almost all stations feature huge permanent poster frames, built into the arched walls.